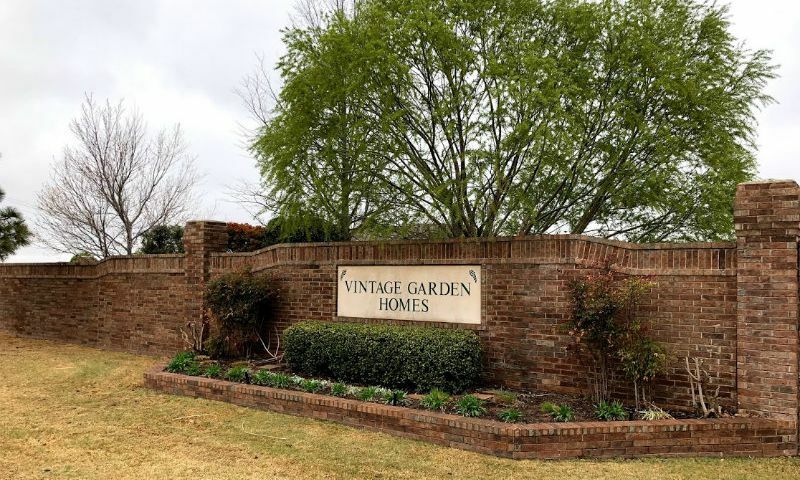 Vintage Gardens is a low-maintenance community in Edmond, Oklahoma that is made up of three smaller neighborhoods, Vintage Gardens I and Vintage Gardens II and III. There are two clubhouses, each with multi-purpose rooms and outdoor pools and patios, available to residents of the community along with plenty of manicured natural space and walking paths. This community is made up of over 200 attached homes that range in size from approximately 1,200 to 2,300 square feet with two or three bedrooms, two or two-and-a-half bathrooms, and attached two or three-car garages. Some homes also have a den, perfect for a home office, hobby space, or guest bedroom. All homes feature first-floor master suites. The homeowners' association takes care of lawn care, home exterior maintenance, and common area maintenance, giving homeowners more free time to enjoy. Edmond, Oklahoma is a part of the Oklahoma City metropolitan area. Routine errands are quick and convenient with a Walmart, Sam's Club, Lowe's, and numerous restaurants and retail stores just under three miles away. Those who love the outdoors will find five golf courses within ten miles as well as Lake Hefner, a scenic lake ringed by trails that's popular with boaters and anglers alike. Check back soon for more information on the lifestyle in Vintage Gardens. Attached homes in Vintage Garden range in size between approximately 1,200 to 2,300 square feet with two or three bedrooms, two or two-and-a-half bathrooms, and attached two-car garages. Some homes have an additional den and/or an attached three-car garage. 55places.com is not affiliated with the developer(s) or homeowners association of Vintage Gardens. The information you submit is distributed to a 55places.com Partner Agent, who is a licensed real estate agent. The information regarding Vintage Gardens has not been verified or approved by the developer or homeowners association. Please verify all information prior to purchasing. 55places.com is not responsible for any errors regarding the information displayed on this website.